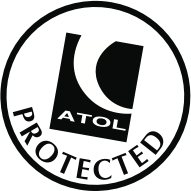 We are ATOL Holders and members of ABTA for your financial protection. You do not currently have any cruises in your shortlist. View full details to save, send & enquire. "I booked a Fred Olsen cruise with IGLU last month and was so impressed by the service I received. The staff member I spoke to was Kimberley and she was exemplary. Capable, kind, professional, patient, friendly and knowledgeable. She went through every step of the way calmly and thoroughly. IGLU were recommended to me by friends and I have no hesitation in passing the recommendation along. Well done IGLU and thank you. " "So easy to deal with, I studied the Cruise I wanted, did my research with different company's and returned to Iglu. I had three quotes matching Iglu’s cost, but with one phone call they beat the price themselves by £40 without me even asking, how easy was that! "